1ONLY CUSTOMERS WITH A CERTIFICATE QUALIFY FOR THE INCENTIVE. NO ADDITIONAL CUSTOMERS WILL BE ADDED TO ELIGIBILITY LIST. 2Must qualify through GM Financial. Not available with special finance, lease, or some other offers. Take delivery by 04-30-2019. See dealer for details. When you need a heavy-duty pickup truck that can tow and haul with ease, your best bet is the Chevrolet Silverado 2500HD. At Sterling McCall Chevrolet we have a huge inventory of this truck for our Houston customers. Whether you are looking to buy a new Silverado 2500HD, you will get some exciting deals at our Houston dealership. This pickup truck comes with a quiet cabin, thanks to triple-sealed inlaid doors and the use of sound-deadening materials. Safety has not been compromised in the Chevrolet Silverado 2500HD, and it comes with features, such as Forward Collision Alert, Rear Vision Camera and Front and Rear Park Assist, to keep you and your passengers safe. 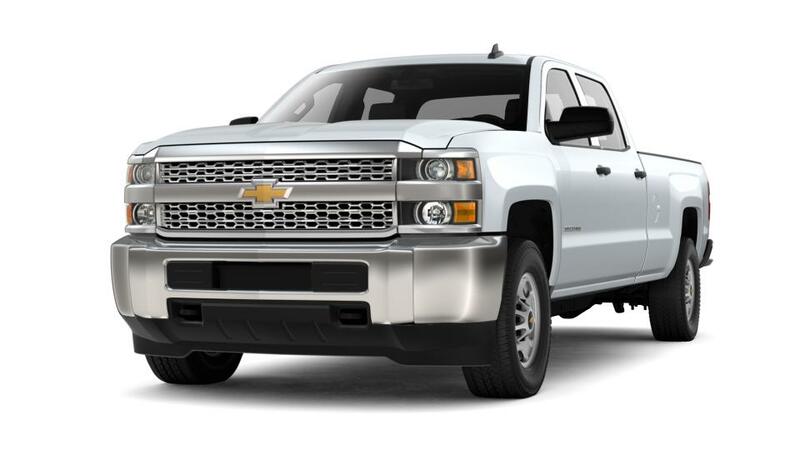 Visit Sterling McCall Chevrolet and test-drive a Chevrolet Silverado 2500HD today!